HGTV is heading back to Georgia. Recently, the network announced season two of Flip or Flop Atlanta will premiere in September. Season two of Flip or Flop Atlanta premieres on HGTV on September 13th at 9 p.m. ET/PT. 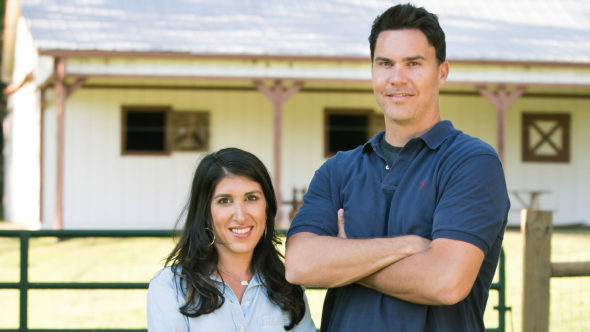 New York [Aug. 2, 2018] Lackluster Southern homes get a complete overhaul from expert house flippers Ken and Anita Corsini in the sophomore season of HGTV’s Flip or Flop Atlanta. The new episodes, which premiere on Thursday, Sept. 13, at 9 p.m. ET/PT, showcase the Corsinis’ sharp eye for the investment potential in the city’s worst properties. Ken, a licensed contractor, and Anita, a real estate and design expert, find neglected houses in Atlanta’s coveted neighborhoods and infuse them with charming details to create dream family homes. During each renovation, Ken crunches the numbers while Anita incorporates high-end finishes into every design – sticking to the budget and attracting motivated buyers in this hot real estate market. In the premiere episode, the couple snags a dilapidated Craftsman with a small price tag. They redeem the property with a complete gut and secure the foundation. To maximize the limited square footage, Ken and Anita create an open living area that features a kitchen with an eclectic vibe. They also add a master suite with a rustic barn door built from the home’s salvaged wood siding. What do you think? Have you seen Flip or Flop Atlanta? Will you check out the new season? More about: Flip or Flop Atlanta, Flip or Flop Atlanta: canceled or renewed?, HGTV TV shows: canceled or renewed?